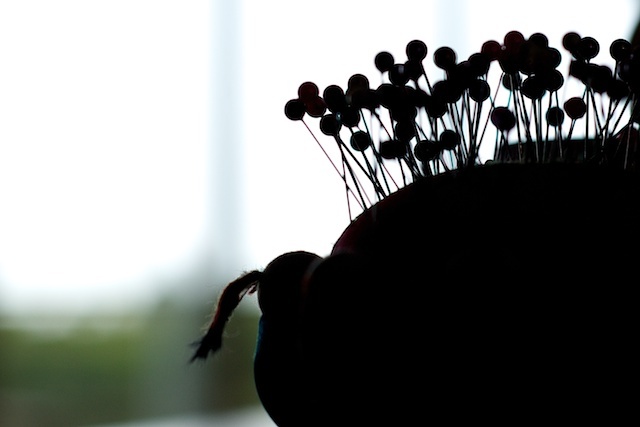 The little Chinese man with the pigtail holding on to the pincushion as though his very life depended on it, probably likes rainy winter days. He gets to sit out in the lounge room enjoying the view. It must be quite a change from sitting in his drawer in the office. I can't say that I blame him really, after just a few days and a few more nights stuck next to his drawer I've got pins and needles in my brain. But the mail list is ready to go now so our network of canal friends should be interconnected. Like the weather, still too damp to get the clear coat on the paintings. Maybe I shouldn't have left it till the last three weeks, but at least I've still got Lily here to cuddle.